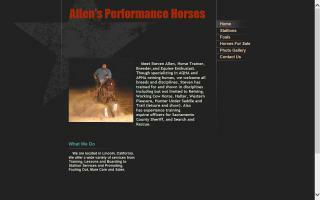 Horse Trainers and Clinicians Directory - O Horse! Horsemen: Are you looking for a second opinion or a fresh idea? Are you frustrated with training progress or a problem horse? Internationally known judge and trainer of World's Champions is now available to answer your questions online concerning Saddlebred, Morgan and National Show Horse riding, showing, training and health issues. Learn to Train Horses with Joe Mangravito & Brittany Beaupied. Whether you are looking to train your own horse or to start a career as a horse trainer, this comprehensive 4 week course will enable you to reach your goal. No matter your level of expertise, our hands-on training will guide you in the art of Gentle Persuasion, the John Lyons method of horse training that is rooted in the belief that the most effective and enriching ways of instruction lie not in the traditional way of forcing a horse into submission, but rather in a humane, respectful method of conditioned response training and developing a partnership between you and the horse. You will leave with knowledge, confidence and inspiration. You can learn to prepare for pleasure or performance in any riding style and at all levels. Bring your own horse. Board fees may apply. For more info visit www.aperfecthorse.com. Providing horseshoeing services, farrier care services, blacksmith services, horse training, and consultations. 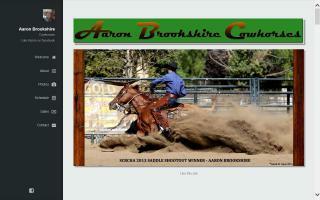 Aaron Brookshire Cowhorses offers a variety of training programs depending on the desired level of horsemanship that you wish to attain. Utilizing his years of professional training and competitive show experience, Aaron is able to draw out the talent of each horse and rider. While Aaron specializes in reined cow horse and working ranch horse, he welcomes all horses and riders that have a desire to learn, whether you are just beginning or competing at the non-pro level. I teach classical English riding. I grew up in England, went to college for horses, and worked and trained with an Olympic showjumper. I teach all ages and abilities on your horse or mine. I love to teach and will also help with any trouble you are having with your horse.